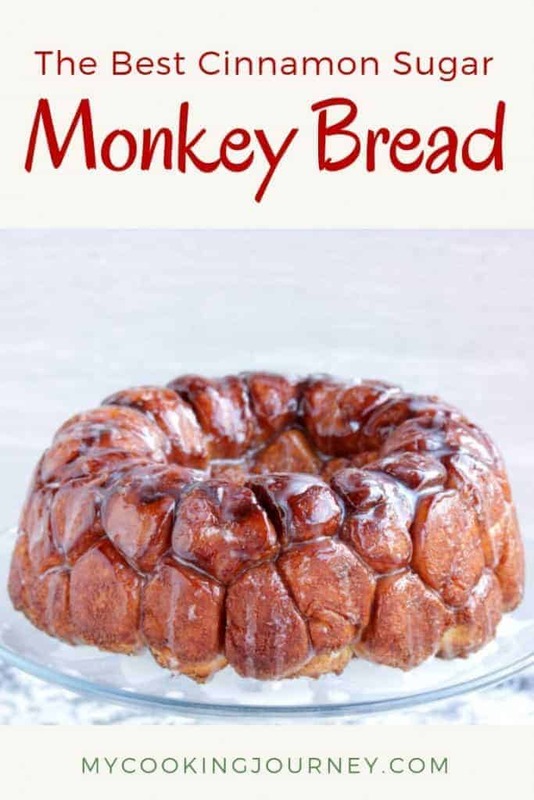 Monkey bread, as the name suggests is a very naughty and fun bread to make and eat with kids and kid’s at heart. 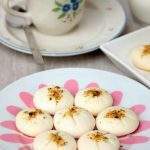 When reading about this bread, it was interesting to read, that the name of the bread ‘Aranygaluska’, means ‘Golden Dumplings’ and was referred to in the Hungarian literature as early as the 1880’s. 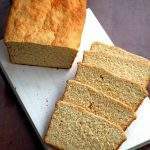 The name ‘Monkey Bread’ came into use for the fact that the bread is quite playful and can be pulled apart by hands, just the way monkeys would pull apart stuff and eat. This bread was the perfect fit for my family with 2 monkeys, err….2 boys as they loved to play around with it. I made the bread in the afternoon when the boys were at school, but I was thinking of them a lot as they would have loved to roll the tiny balls and dip them in the butter. Next time, when the family has recovered enough from my month long baking, I will be baking these on a weekend when the boys are around. 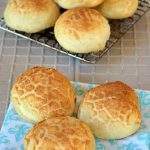 The bread dough is a pretty simple milk based dough with a little sugar in it. The dough is then pinched off into tiny balls (about 64 to be exact) and then dipped in meted butter and then cinnamon sugar and then stacked against each other in a Bundt pan. The Bundt pan would be the choice of pan as it will help in baking the bread uniformly. In a regular pan, the bread in the deep inside might not bake well and might remain a little doughy. The cinnamon and the sugar along with the butter smelled heavenly when the bread was baking inside the oven. The caramel flavor was very obvious and the pieces were evenly coated in it. There is a simple sugar glaze that I drizzled over the bread. This is completely optional. 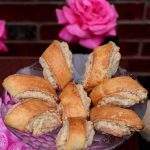 The bread was sweet enough without the glaze and did not need any more sweetness. The sugar glaze added a nice look to the bread and the boys really enjoyed licking it off. 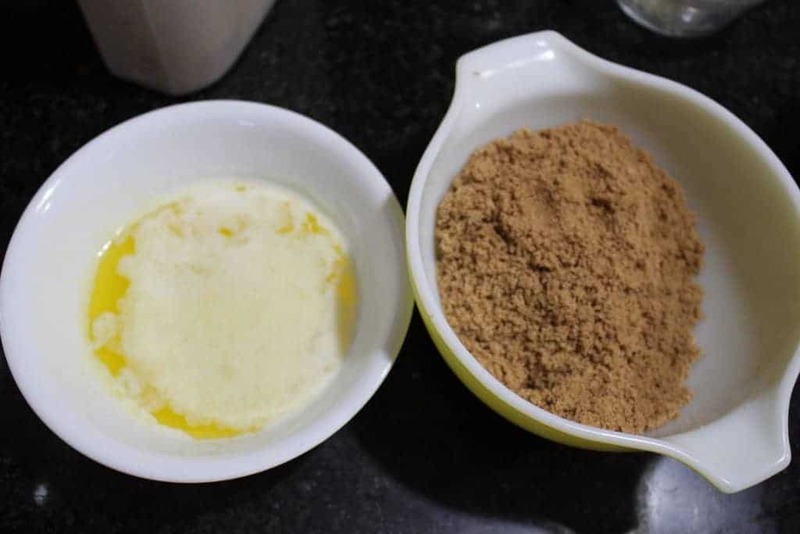 In the bowl of the stand mixer, combine the flour, instant yeast, sugar and salt. If kneading by hand, use a large bowl to make the dough. Whisk the mixture and then make a hole in the middle. In a measuring cup, measure the milk and water. Make sure that the temperature of the milk and water is warm to proof the dough. (about 110 F). Melt the butter and add it to the wet ingredients. Now add this mixture to the well made in the flour and run the mixer with the dough hook attached on low. Once the dough starts to form, turn the mixer on to medium speed and knead the dough for about 8 to 10 minutes. If kneading by hand, mix the mixture using a wooden spoon and then use your hands to knead until the dough is soft and elastic (about 10 to 15 minutes). If the dough appears too wet, sprinkle some flour and continue to knead. 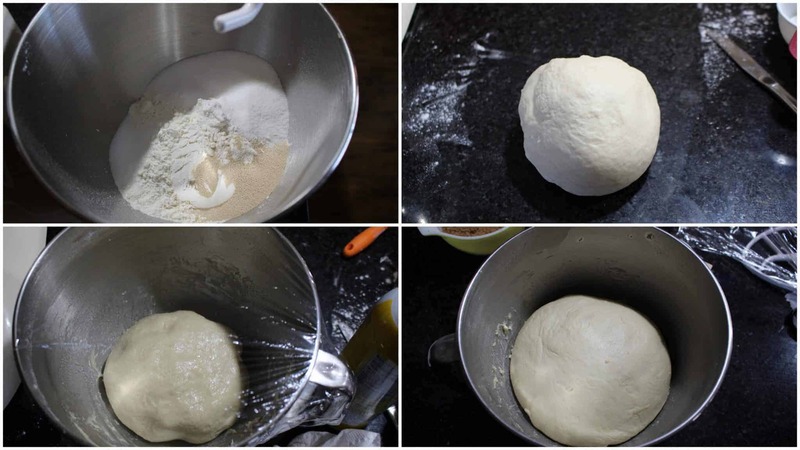 Shape the dough into a ball and then place in a greased bowl to proof. Cover the bowl with plastic wrap and then a kitchen cloth and leave it in a warm place for about 60 to 80 minutes or until it doubles in volume. When the dough is proofing, melt the butter in a bowl and keep it aside. In another bowl, combine the brown sugar and the cinnamon and keep it ready. Grease a bundt pan liberally with softened butter. Once the dough has doubled, punch it down and gently pat it into a 8 by 8 square. 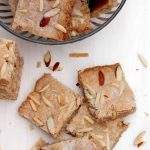 Using a dough scraper or a knife, cut the dough horizontally and vertically, 8 times. This will give us 64 pieces of dough. 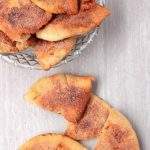 Roll each piece of dough into a rough ball and dip it into melted butter and then coat it with the cinnamon sugar and then place it in the greased pan. I dropped about 5 pieces of dough into the butter and then transferred it into the sugar mixture and then arranged it in the pan. Make sure that the dough is close to each and touching each other. Finish all the pieces of dough and if there is any more cinnamon sugar left, sprinkle it on top of the dough. Cover with plastic wrap and then a kitchen towel and let it rise again until the dough is puffy and has risen about 1 inch from the top of the pan (about an hour). When the dough is rising for the second time, towards the end, preheat the oven to 350 F.
Once the dough has risen, place it in the preheated oven and let it bake for about 25 – 35 minutes or until the bread is golden brown and the sugar is bubbling. Mine took about 30 minutes to bake. When the bread is baking, prepare the glaze by whisking together the confectionery sugar and milk. Once the bread has come out of the oven, let it cool in the pan for 5 minutes. Slowly invert it on to the serving platter and let it cool for 10 more minutes. 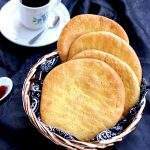 Drizzle the glaze evenly over the cooled bread and enjoy! The bread stores well outside for couple of days and then it can be refrigerated. The left over bread can be slightly warmed in the microwave and it softens up instantly and tastes great. 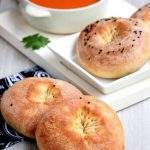 Once the dough has risen, place it in the preheated oven and let it bake for about 25 - 35 minutes or until the bread is golden brown and the sugar is bubbling. Mine took about 30 minutes to bake. Sandhya another rocking bread , would love to bake it in chocolate flavour , so should I substitute part of the flour with cocoa ? I can imagine the boys having fun , and you wait till I reveal your secret of calling them monkeys ! lol ?. 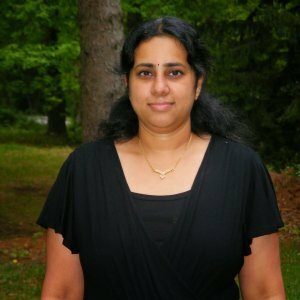 Vaishali, thanks a lot! 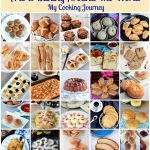 I so enjoyed baking all the breads for this series 🙂 I would not use cocoa in the dough, but would use cocoa with the cinnamon sugar. Instead of cinnamon, I would use sugar and cocoa. I would also add a layer of chocolate chip in between the balls of dough. This looks gorgeous Sandhya! The monkey bread has turned out just perfect. Also loved the history of the bread you talked about…interesting stuff. 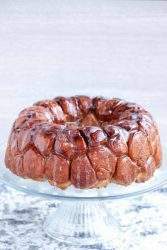 Omg, how delicious this monkey bread looks, i can munch them without any fuss, too tempting this monkey bread looks. Monkey bread turned out so perfect. It does look kind of naughty ad tricky bread. I would love to try it , bookmarking. Monkey bread turned out so perfect. It does look kind of naughty and tricky bread. I would love to try it , bookmarking. This Monkey Bread looks awesome. Love the sugar and cinnamon combination. OMG! this looks stunning. Every flavor of monkey bread has its own charm and my personal fav in the cinnamon sugar one and this looks just out of the world!! 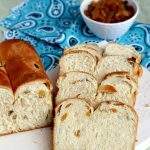 Sandhya, I know this monkey pull apart bread will be apt for my monkeys..hehehe..what a lovely bread and thank you so much for the recipe, I also loved your reply to Vaishali’s question, cos I will be doing it that way! I’ve always wanted to make monkey bread and I think this weekend might be the weekend to try it out. Your recipe looks simple and delicious! I’m sure my whole family will love this. Is there anything more tasty than Monkey Bread? No there is not! This A-Z around the world marathon is so fun! Oh Monkey Bread look so good. I’ve never added cocoa in mine before I must try. 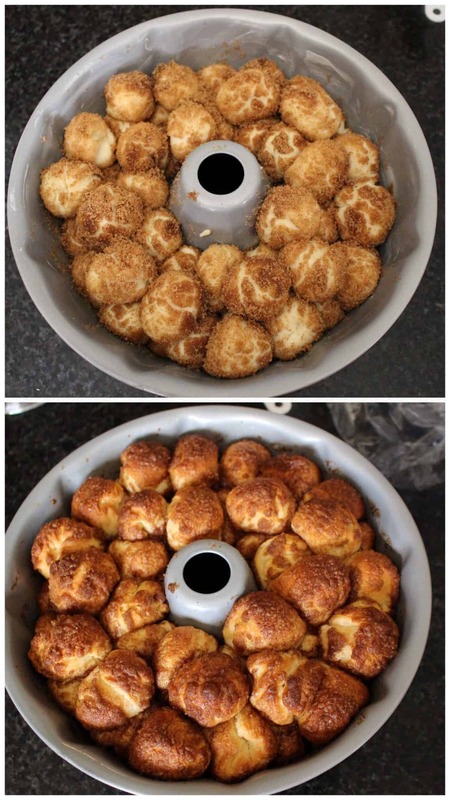 My kids love making the balls..
Ok…for some reason I have never made or eaten monkey bread!! Why?? I have no idea since I am a bread lover. I really have to get my act together and make some soon. Your monkey bread is perfection defined!! I only wish that somebody will make this for me for Mother’s Day! I have 2 little monkeys (sons) who also love Monkey Bread. It’s a family tradition that I bake it every Christmas morning for us all to pull at while opening gifts. I don’t make it from scratch, but looks like I should – this is beautiful! It has been years since I had monkey bread. I need to work on a gluten free version of it. Monkey bread is so perfect with coffee. Monkey bread is such a popular treat. I love it sweet but I have made it savory with cheese and jalapenos. It is good and perfect for breakfast. 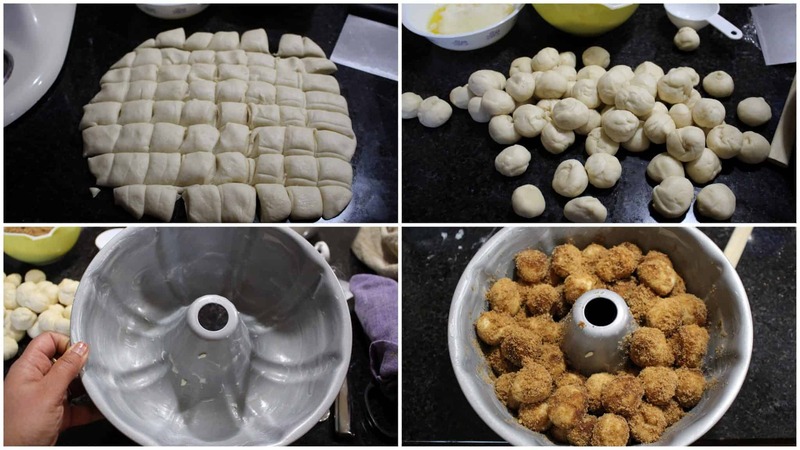 Sandhya your monkey bread looks perfect, I have tried only savory version only I need to try it for myself. 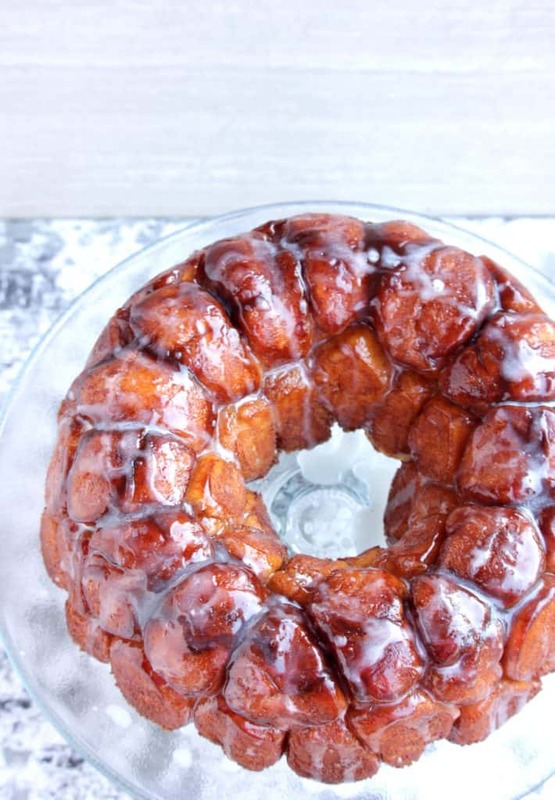 Oh my goodness, I’m OBSESSED with monkey bread! So so good. Definitely want to make this for brunch sometime soon! We are big monkey bread fans, although I will admit I don’t make mine from scratch. I will hazard a guess that this smelled great while it was baking! Totally loving this homemade bread recipe. 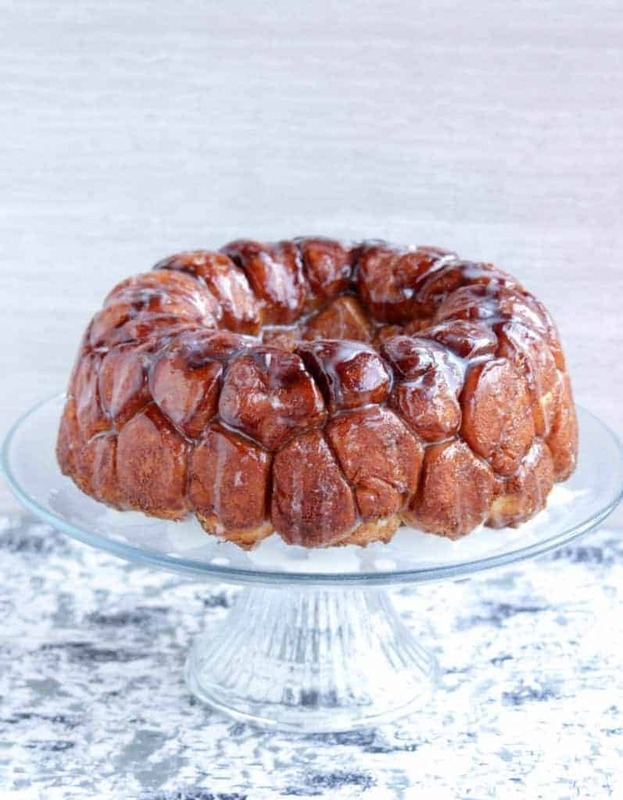 Monkey bread has always been a favorite in our house and we always make it for holiday breakfast. Can’t wait to try this completely homemade from scratch version next! Ha l love the Monkey bread title, that sounds and looks awesome. I have too little monkeys too, but while the baby’s too young for it, my older, who’s a toddler would so much enjoy pulling it apart, she’s quite cheeky herself. I love your adventure in baking!! And Monkey bread is a fun bread to make. It’s versatile too. Make it sweet. Make it savory. And then the fun begins — pull it apart and enjoy! It’s been a long time since I’ve made Monkey bread. I’ll have to put out a note to make sure I make some more. I’ve already pinned to remind me to make some. That is a perfectly baked Monkey bread. Kids would love this. I remember seeing Gemma Stafford video since that day i wanted to try this out.. You nailed it perfectly..